I was delighted to have Brian Nash on the show last night! 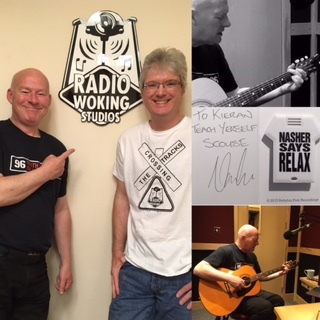 You may know him better as ‘Nasher’, the guitarist from 80’s legends Frankie Goes To Hollywood…He was a superb guest, we basically just chatted for two hours and faded in some music from time to time! He played some tracks live too, from his new solo album ‘432-1: Open The Vein’ which is out now. As well as all that there was some great new music, some classics and all the usual features too! To listen to the show click the link at the very bottom of this page. Massive thanks to Nasher for making the time to pop in, and for being such brilliant company. Thankyou to Tony at Manilla PR for arranging everything too.